The Action Engineering team welcomes Rhiannon Gallagher to the role of User Systems Analyst. This is the quote Rhiannon has been building her career on for many years. Most technology, including MBD, can be complicated. The challenge she loves is streamlining, simplifying, focusing, and clarifying that complication. Rhiannon has a BA in Geography and English from Macalester College, a Fulbright Scholarship to University College London, and has done graduate work in Human Factors Engineering. She began her career in technology designing online community systems in the early days of the web. 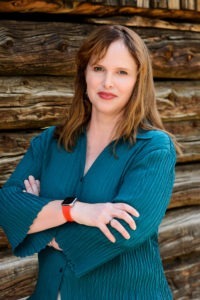 After teaching and designing courses on a variety of technical topics, she focused her career on improving the usability of computer applications and websites. She instituted the User Experience department for Micromedex, which is now part of Healthgrades. While there, she conducted user experience analysis at more than 50 hospitals, industrial facilities, poison control centers, and hazardous materials response teams. She designed interfaces for everything from MSDS sheet access to dosing calculators and IV compatibility checkers. More recently, Rhiannon has been consulting across a variety of companies and industries, designing insurance administration, engineering communication, banking, parts database, and sales data systems. Today, Rhiannon frequently applies her user experience and storytelling skills beyond technology interfaces, information architecture, and document layouts. The users within a company and the processes through which they exchange information are key to creating successful businesses. But they’re often an afterthought – folks are expected to struggle through with documentation that’s hard to read or processes that are awkward and inefficient. Rhiannon is excited that Action Engineering is willing to put the users of MBD at the center of their offerings. She’s looking forward to assisting our clients in fun and innovative ways. When she’s not working, Rhiannon runs an environmental non-profit called Parents for the Planet. She also leads walks for Walk2Connect, knits, and does beadwork. She plays board games, goes to movies, and hikes with her husband and son whenever she can.